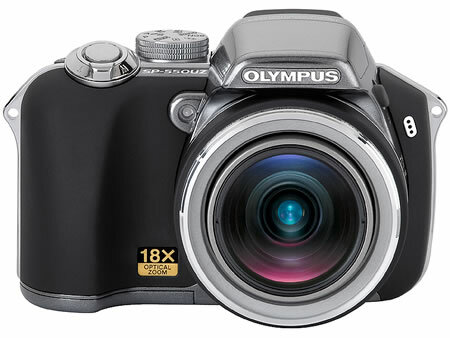 The world?s first wide 18x optical zoom, the Olympus SP-550 UZ accepts no limits, bringing photographers closer to far-away subjects. Packing 7.1 Megapixels of detail-capturing power, the SP-550 UZ opens up a new realm of creative possibility. With an 18x wide zoom lens (equivalent to 28-504mm on a 35mm camera) there?s no need to disturb a subject, whether it be an animal wandering through the wilderness or people lounging in a city park.